Absolutely not to be missed is the reissue of a classic album from 1990 seen above. Songs from the Thousand-Year-Old Land of Catalonia sung by Montserrat Figueras with La Capell Reial de Catalunya directed by Jordi Savall was originally released by Astrée and has now been re-released on Alia Vox's mid-price Heritage series, complete with three additional tracks. This is the album that really launched Montserrat Figueras' career and you only need to listen to the first track to understand why. A young Arianna and Ferran Savall joined their parents at the Astrée sessions and Ferran went on to cover the Thief's Song and Els Segadors sung by his mother in 1988 on his woefully underrated 2008 solo album. 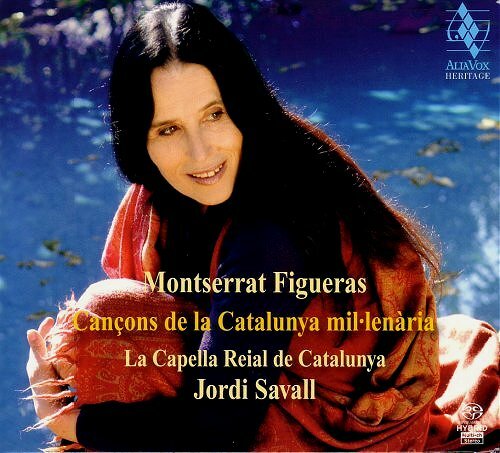 If you need any more convincing let me tell you that the opening track is Montserrat Figueras singing El Cant Dels Aucells (The Song of the Birds) made famous by that other great Catalan musician Pau Casals. The final track on Songs from the Thousand-Year-Old Land of Catalonia is an immensely moving version of the Catalan national anthem. In a few hours we leave on the long journey that takes us to Catalonia. This is the region that has inspired many past paths about great human beings including Montserrat Figueras and Jordi Savall, Pablo Casals, Raimon Pannikar, Thomas Merton and Salvador Dali, and which gave birth to Catharism, the heresy that dared to challenge established religion. Below is the cover of the Penguin Classics edition of George Orwell's Homage to Catalonia and I will leave you with that artwork by the Catalan artist Joan Miró while On An Overgrown Path will takes an extended break. 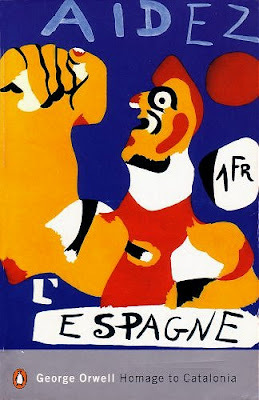 The current Penguin Classics edition of Homage to Catalonia does not use that gorgeous Joan Miró artwork. I found the 1989 edition see above in a wonderful little bookshop in the medina in Essaouira, Morocco. The same shop provided the archive photos seen in Jewish music under a sheltering sky. Songs from the Thousand-Year-Old Land of Catalonia was bought online. Report broken links, missing images and errors to - overgrownpath at hotmail dot co dot uk Also on Facebook and Twitter. Mayte Martin is widely recognized as one of the most important flamenco voices of her generation. She has also devoted part of her career to the Spanish American genre of bolero. A new album by Mayte Martin is a special event. She now offers us a series of songs based on the work of the Malaga poet and journalist Manuel Alcantara (born 1928 in Malaga), reinventing the time-honoured tradition of adapting poetry to song. Her aim was to be the voice of the poet, and merge it with her breathing. We are talking about flamenco, about La Nina de los Peines and Pepe Marchena, but also about Jacques Brel and Joni Mitchell because of the sheer versatility of Mayte Martin's work." you'll need adobe to open it.